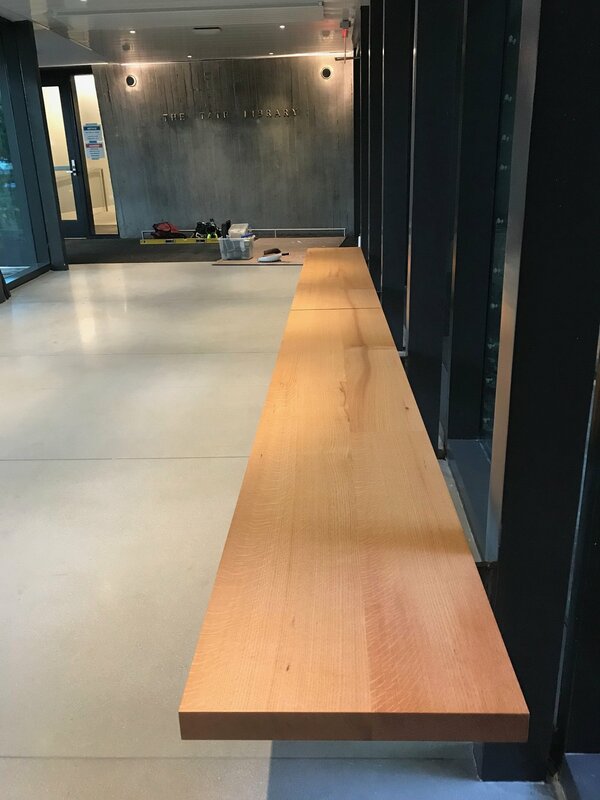 It was a pleasure to help the Ethical Culture Fieldston School transform a pin oak tree growing on campus into a 16’ long bench as part of the Architecture Research Office renovation of the Tate Library this summer. We counted the growth rings in the tree and realized that the tree was as old as the school! Couldn’t resist commemorating the situation in a plaque for the school. OUR 18 Wheeler Delivery to Duke University! Very excited to complete our installation at Grimshaw's Duke West Union in Durham, NC! 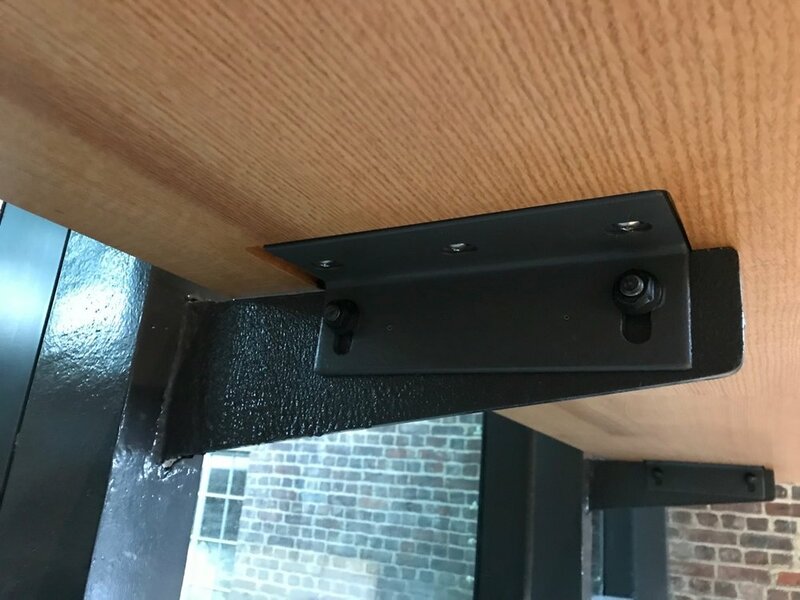 We made a total of 34 pieces for the brand new student union building. 18 foot live edge white oak bartop at the Devil's Krafthaus pub. King size bed, with shelves, drawers and integrated electrical wiring. Black walnut tree sourced near Beacon, NY. Private residence, Garrison, NY. Design collaboration with Charles K. Burleigh Design. 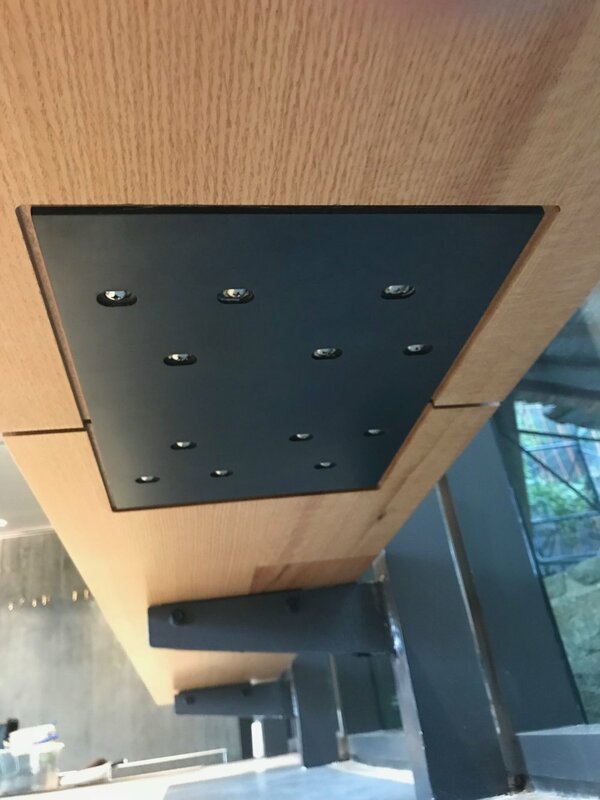 Very proud to install our black walnut and white oak countertops at Tempura Matsui, a groundbreaking new restaurant in NYC! Grand opening is this week at 222 E 39th Street. A collaboration with the super talented team at YT Design. Thank you Steven Hall for this lovely blog post telling the story behind “The Woods of Tempura Matsui“! For more about Tempura Matsui, see the profile that appeared recently in the New York Times. And Martha Stewart’s blog post about her amazing meal at Matsui! A nice photo essay on the project on NY Eater. 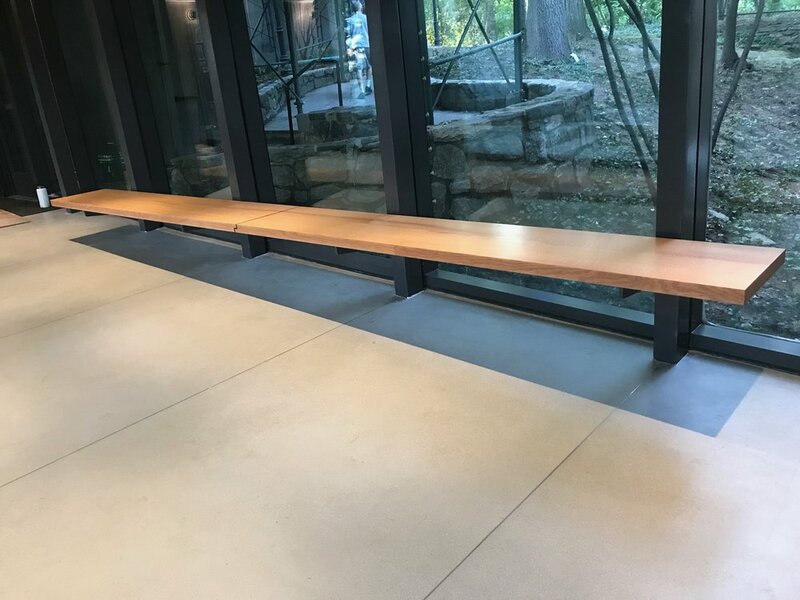 Outdoor benches in all-weather Port Orford Cedar for the rock garden at Chuang Yen Monastery, operated by the Buddhist Association of the United States in Carmel, NY. Collaboration with native plant landscape designer, Landscape Restorations. A king sized bed with six drawers for a residence in NYC. Collaboration with Charles K. Burleigh Design and inspired by a mesmerizing piece of Claro walnut from California. Quilted black walnut dining table, with two removable leaves. Private residence, Putnam Valley, NY. Custom (removable!) hardware in anodized aluminum by Get Bent Metalworks. Designed in collaboration with Elizabeth Strianese Interiors. Dimensions: 9′ long (expanding to 13′ with two 24″ leaves), 42″ wide, 1.5″ thick. Kitchen island in white oak and oiled steel. 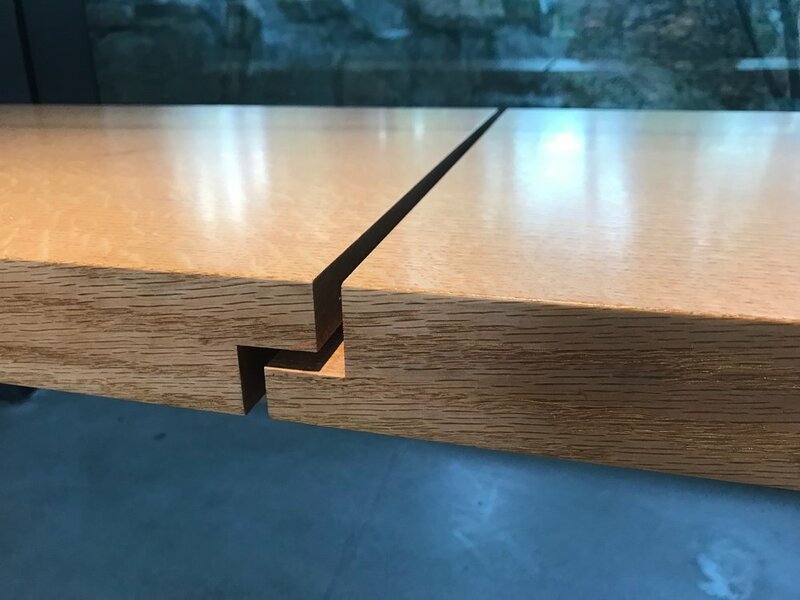 Quartersawn white oak from a tree sourced in northern New Jersey in 2008. With custom steel and glass understructure. Private residence, Millbrook, New York. 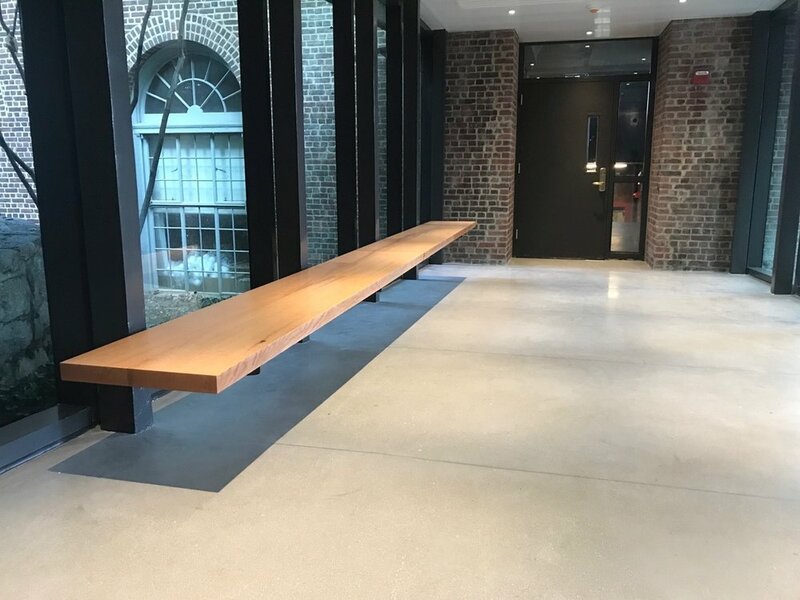 A collaboration with Get Bent Metalworks and James Dixon Architect. 91″ L x 42″ W x 36″ H. Photography by Meredith Heuer. Solid black cherry desk from a log sourced in upstate NY. Private Residence, New Canaan, CT. Collaboration with Amanda Martocchio Architecture + Design. Queen size platform bed made from black walnut sourced near Beacon, New York, for a private residence. Collaboration with Charles K. Burleigh Interior Design. 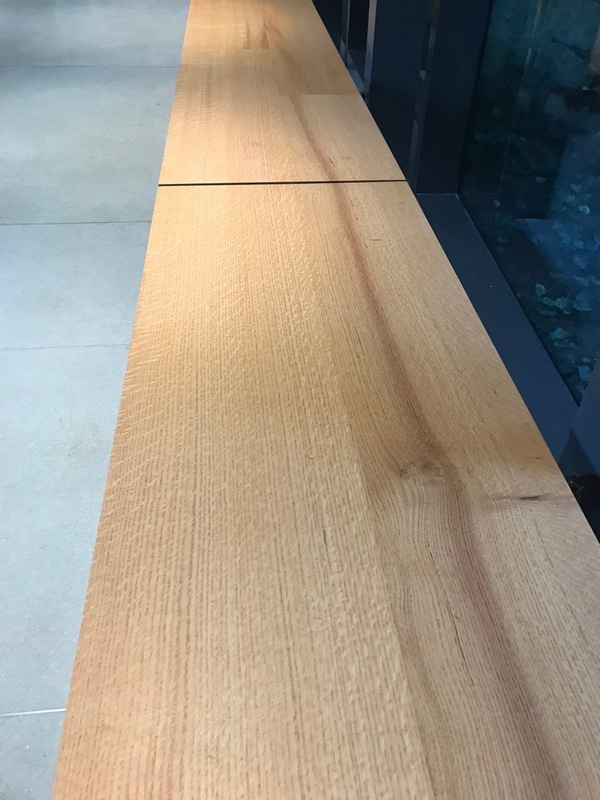 Massive counters from white oak sourced in western Connecticut for the global flagship store of Japanese clothing design firm, Pas de Calais. 482 Broome Street, NYC. Designed by Hashimoto Yukio Design Studio, Tokyo. Photography by Meredith Heuer. Here is our photo essay about the making of this project.